An urban oasis in the heart of Birmingham is helping to safeguard the future of bees with a new course. Wildlife enthusiasts are being urged to sign up for a beekeeping course, held at Martineau Gardens in Edgbaston next month. 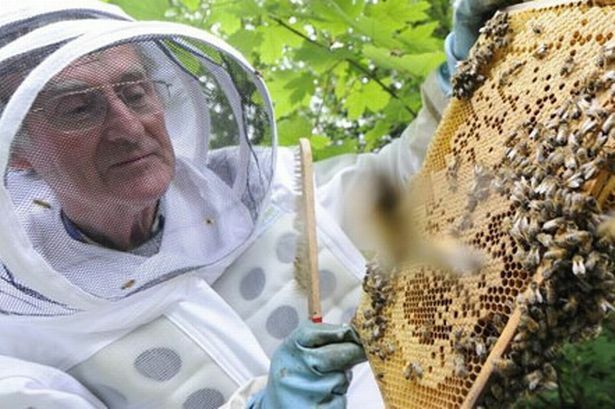 Led by John Gale, resident beekeeper at the organically-maintained gardens, the one-day course is designed to encourage people to find out more about honey bees and take up the craft of beekeeping. It comes as beekeepers nationwide have reported huge losses in their bee colonies over the last few years, which has hampered pollination and food production. Mr Gale said the cause of such losses is unclear, but the use of pesticides in the wider environment, as well as harsh winters are “likely factors”. The course has been organised by the Low Impact Living Initiative, a non-profit organisation which aims to help people reduce their impact on the environment and learn new skills. People will also be able to sample some honey in a tasting session. The course will take place on June 4 from 10am-5pm, and costs £60. For more information and to book a place, call 01296 714184 or visit www.lowimpact.org.